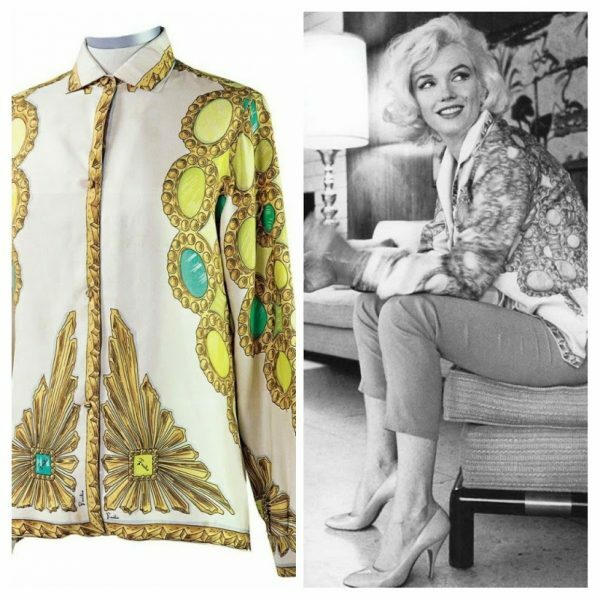 Scott Fortner of the Marilyn Monroe Collection blog has detailed his visit to the home of Anna Strasberg, widow of Actors Studio founder Lee Strasberg and heir to Marilyn’s estate, in a 3-part article, ‘Finding Marilyn Monroe.’ Among his many fascinating discoveries, Scott reveals that pictures of Marilyn still adorn the Strasberg family home; Lee was unaware that he would be the main beneficiary in her will; and that Marilyn had admired her future husband, Arthur Miller, since the late 1940s. 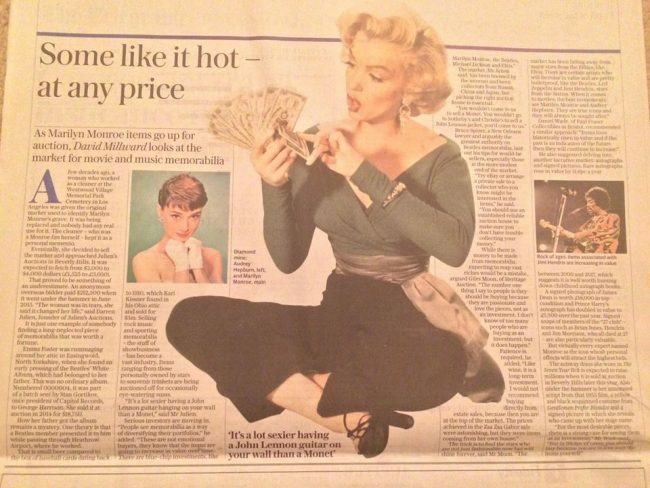 It’s essential reading for all fans of MM. 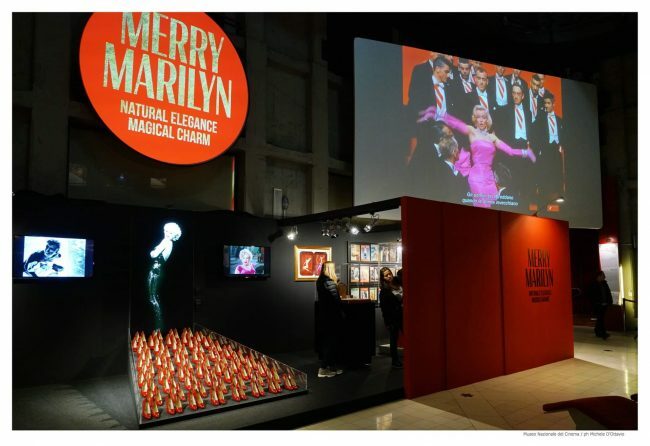 Another new exhibition, Merry Marilyn: Natural Elegance, Magical Charm, is now on display at the National Cinema Museum in Turin, Italy until January 28, 2019. 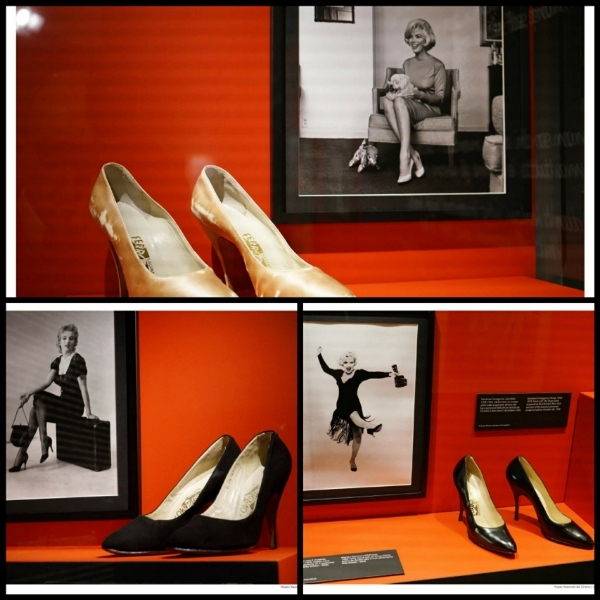 Shoes and other Marilyn-related items from the Salvatore Ferragamo collection are featured alongside film clips and vintage magazines, with a festive vibe befitting the season. 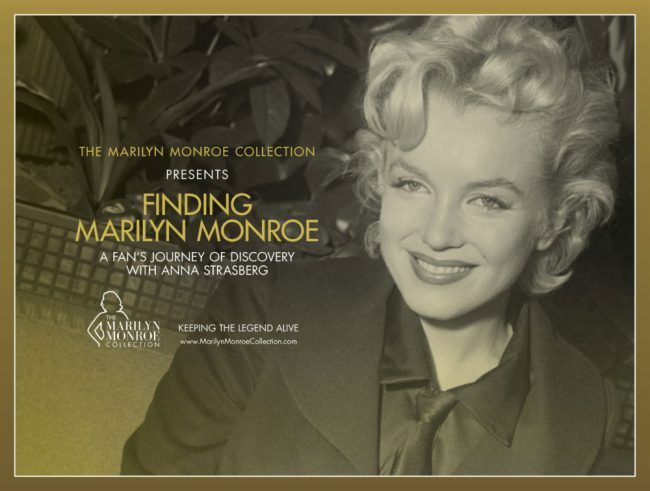 Nine of Marilyn’s films will also be screened, including Niagara and Some Like It Hot. 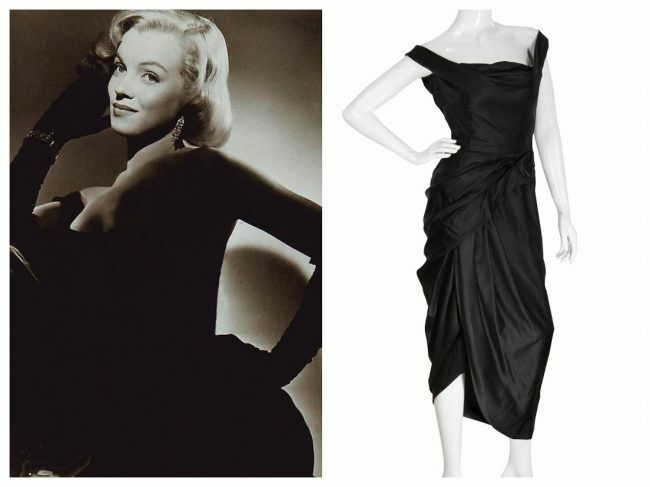 “She was ‘somewhere between Chaplin and James Dean’, according to François Truffaut, to underline the talent and instinct, physicality and sensibility of an actress whose image was based not only on the absolute beauty of a seductive woman, but also on the complex personality of an actress who challenged conventions and imposed a new model. 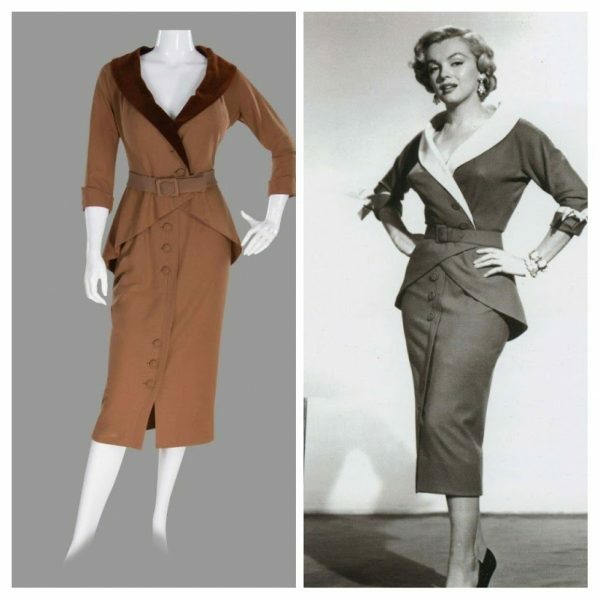 Diva of modernity, feminist in her own way, Norma Jeane Mortenson Baker, aka Marilyn Monroe, helped to dictate the new rules of the Star System, anticipating the revolutions and social changes that in a few years would have transformed Hollywood. 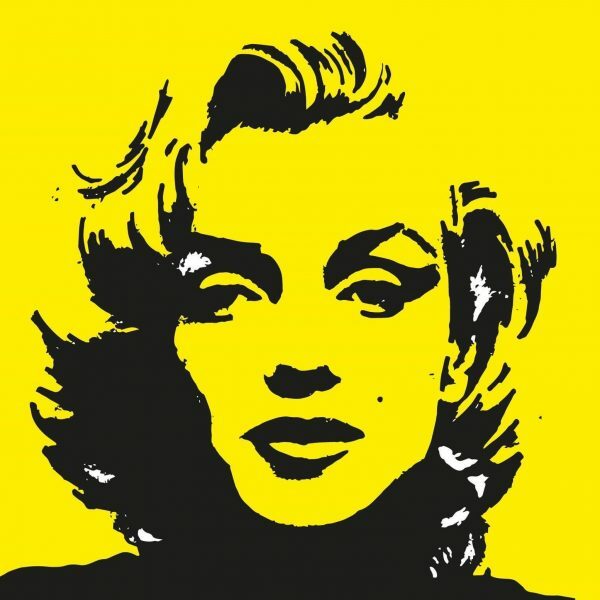 It is no coincidence that Edgar Morin calls her ‘the last star of the past and the first without Star System’, which she attempted to rebel against to avoid the commodification of her own image. 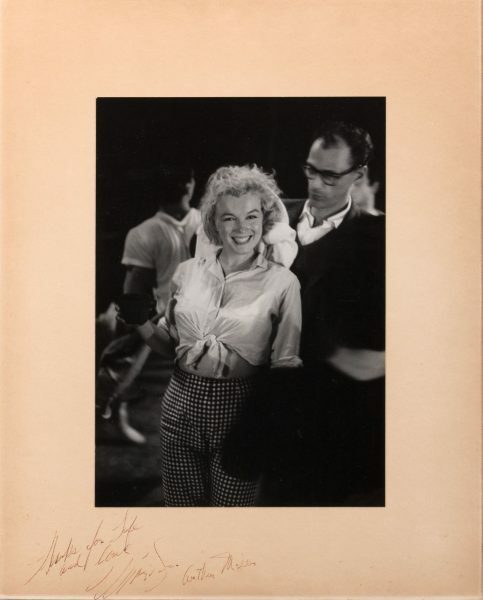 Capricious and humorous, but able to amaze directors like Henry Hathaway and Billy Wilder with her talent, Marilyn has been proclaimed by the American Film Institute the sixth greatest actress in the history of cinema. 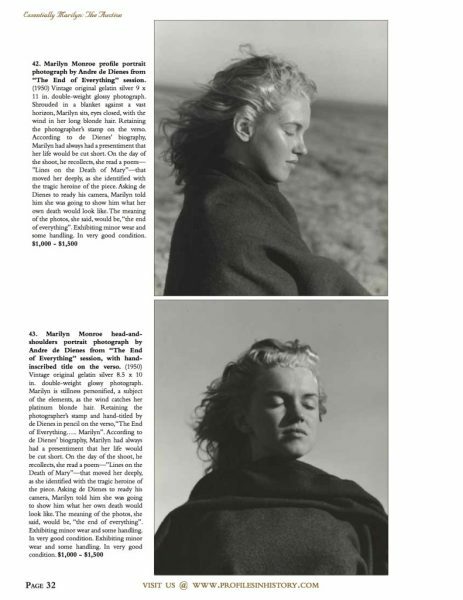 An inexhaustible source of inspiration for artists and scholars: from the drama After the Fall (1964) in which the playwright Arthur Miller , her ex-husband, reflects in the balance between cynicism and guilt over the diva’s suicide, in the pages of Truman Capote in Music for Chameleons (1975), from the portrait of Andy Warhol who transforms Marilyn into a pop icon; to the recent Blonde novel by Joyce Carol Oates, who describes her as a ‘beautiful child’ with a thousand insecurities. 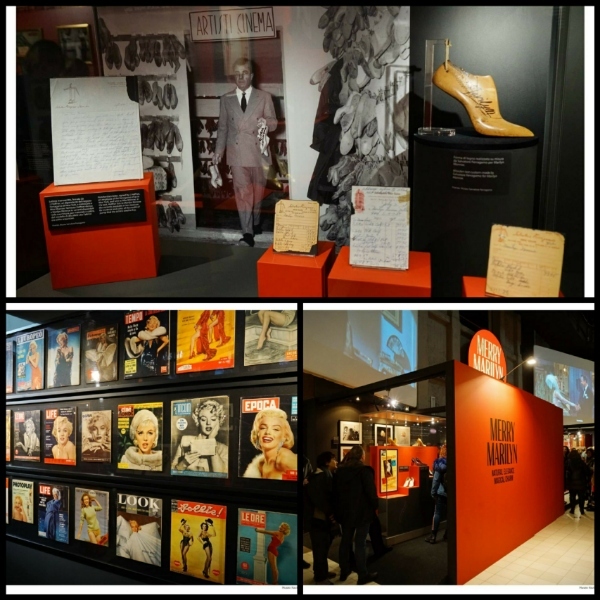 Marilyn Monroe: The Unknown, a new exhibition featuring the collection of Ted Stampfer, opens at the Historical Museum of the Palatinate (Museum Der Pfalz-Speyer) in Speyer, one of Germany’s oldest cities and part of the Rhineland-Palatinate region this Sunday, December 16, for a six-month stay. 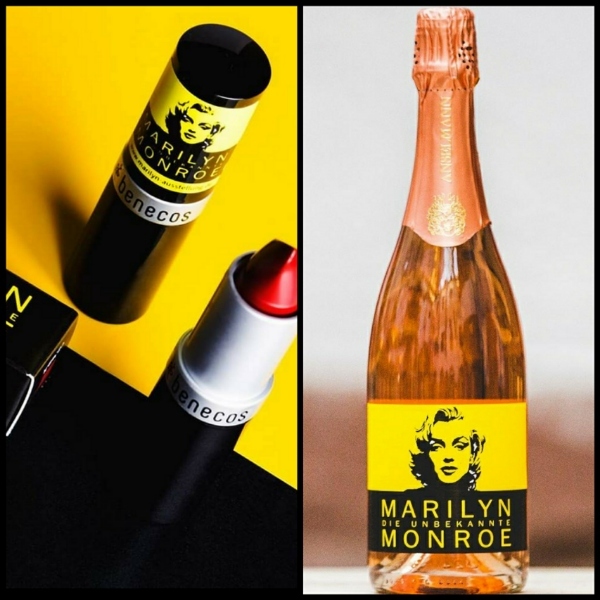 There is an accompanying programme of events and you can also purchase special edition lipstick and wines. 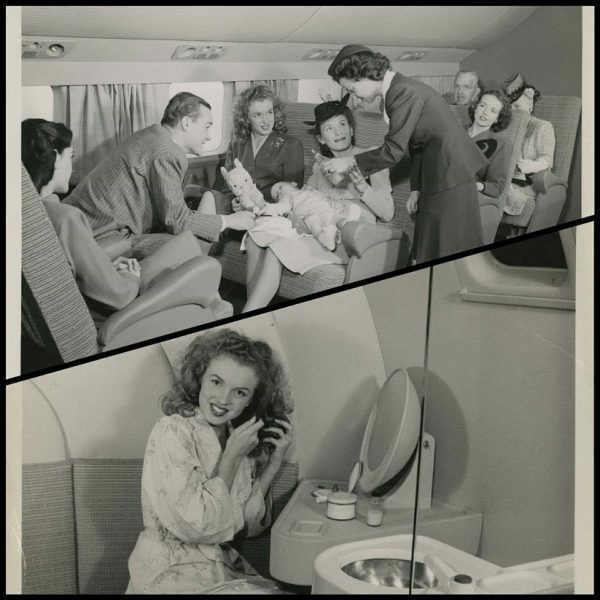 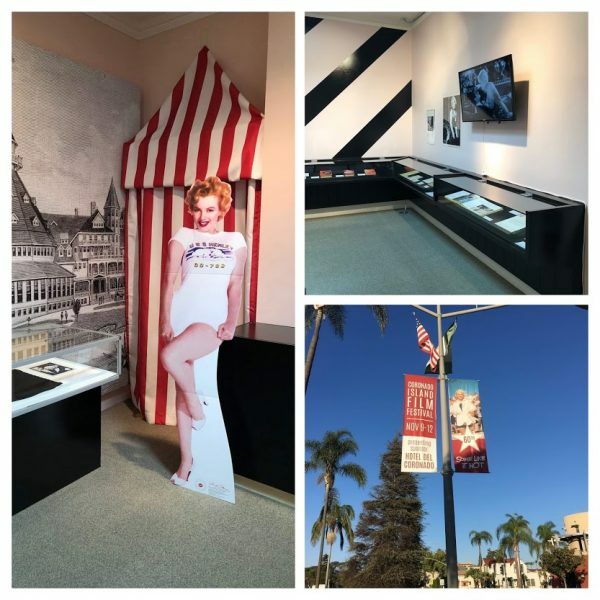 Jack worked on some of the photo displays and books with [Andre] de Dienes’s widow after he died in 1985, and as a payment for his work, he received some of his original photos. 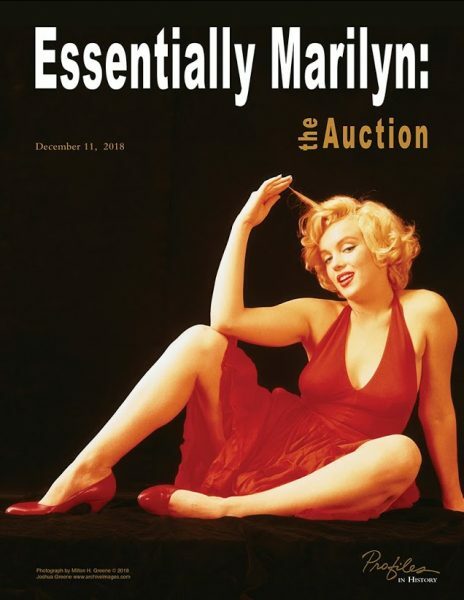 What the auction house doesn’t explain in the description of the photographs is why they will have a faint scent of dirt or earthiness to them. 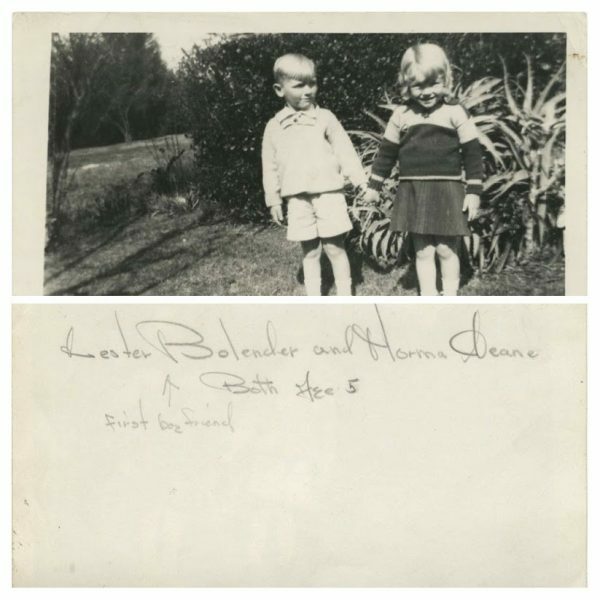 After a terrible rainstorm in Los Angeles in the 1950s, a mudslide buried and destroyed many of the photographer’s collection in his house, and out of frustration he simply buried most of his collection in the backyard. 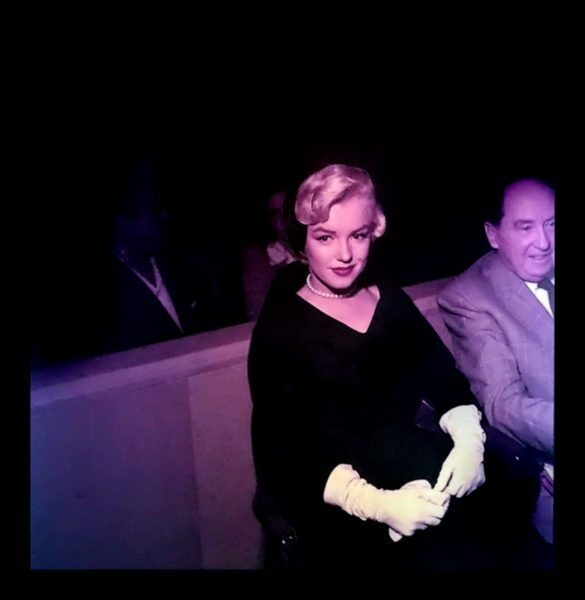 A year later, LIFE magazine editors asked about some Monroe photos, and he literally dug them up from his backyard, and in the middle of the mess, salvaged a few of the gelatin silver prints. 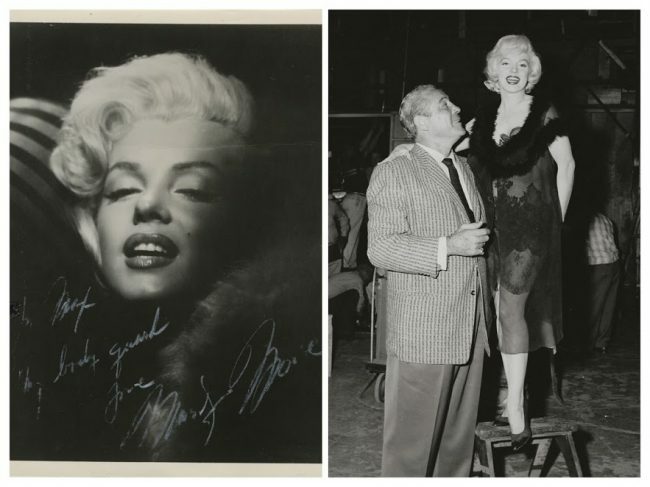 In another signed 8×10 photograph expected to fetch between $6,000 and $8,000, Marilyn signed it to former Heavyweight Champion of the World Max Baer, writing: ‘To Max, My body guard, Love Marilyn Monroe.’ Baer was a fighter-turned-actor and longtime admirer of the starlet, and visited her on the set of Some Like it Hot. 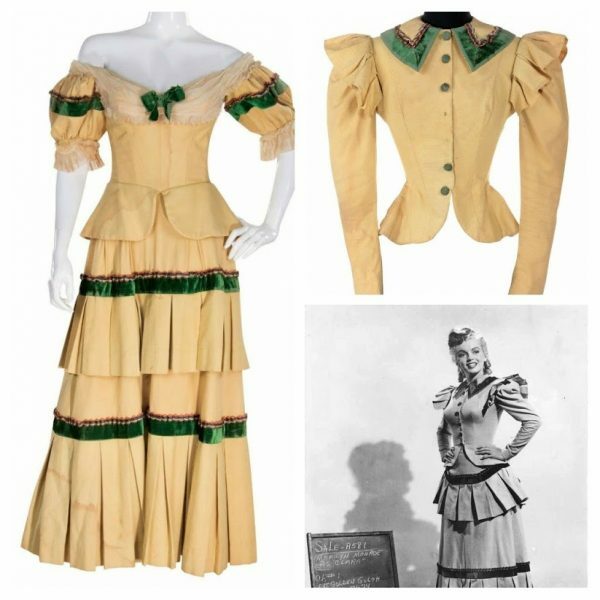 When studios made movies, they often pressed a record — and it was usually one-sided — of each of the songs used in the film, so when dubbing or playback was necessary while they were filming, they could use the record. 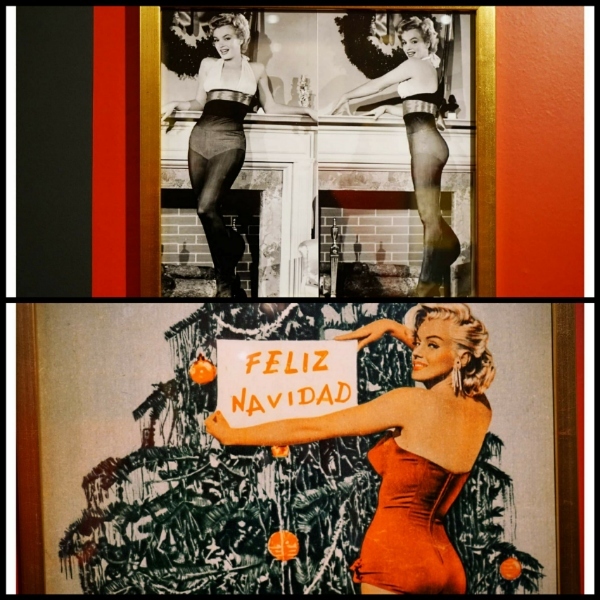 So, these records actually played while the stars recreated the scenes, or filmed the dance numbers or lip synced the songs. 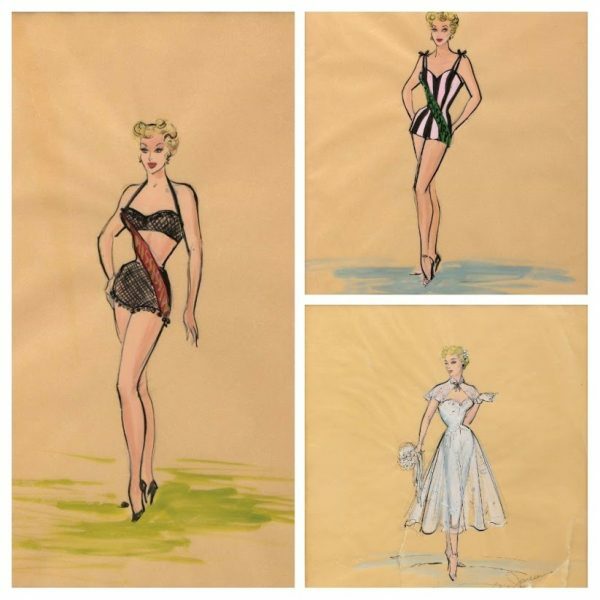 Jack found the heavy 78 acetate records on eBay as part of an estate of a 20th Century-Fox craft service worker who took the 12-inch records when they were abandoned by the studio after the filming of Gentlemen Prefer Blondes. 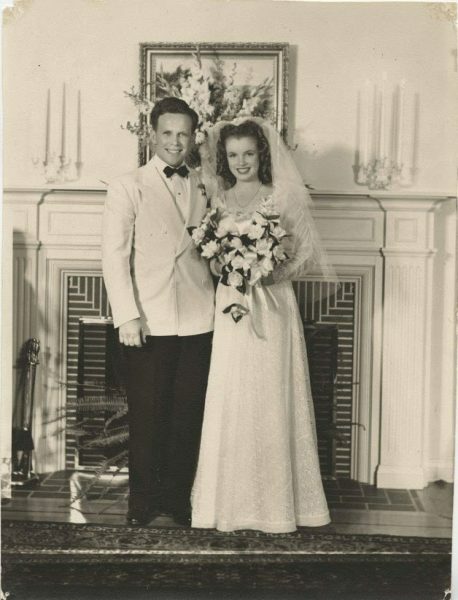 Jack bid on the records in 2005, thinking they would be a fun piece of Hollywood history to have to one of his favorite films. 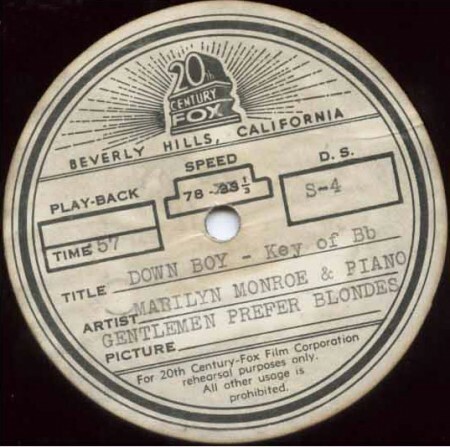 The records were stained and scratched, but kept in their vintage sleeves from the studio … But, Jack noticed a recording ‘Down Boy‘ also penned by the legendary Hoagy Carmichael that featured only Marilyn and a soft piano accompaniment. 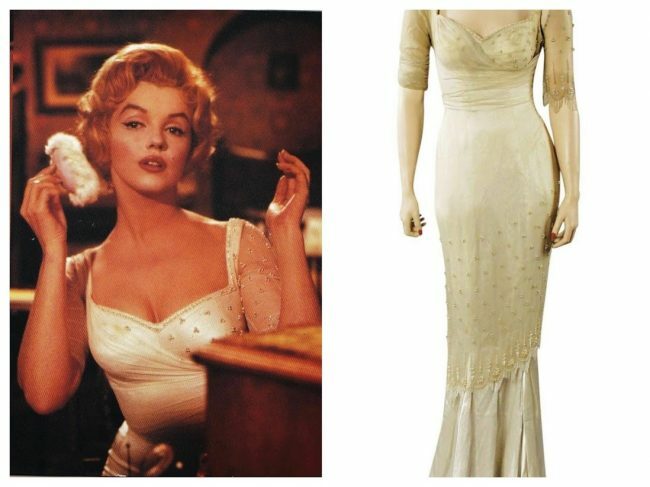 Sixty years ago, the ‘Florida’ scenes for Some Like It Hot were filmed on Coronado Island near San Diego, California. 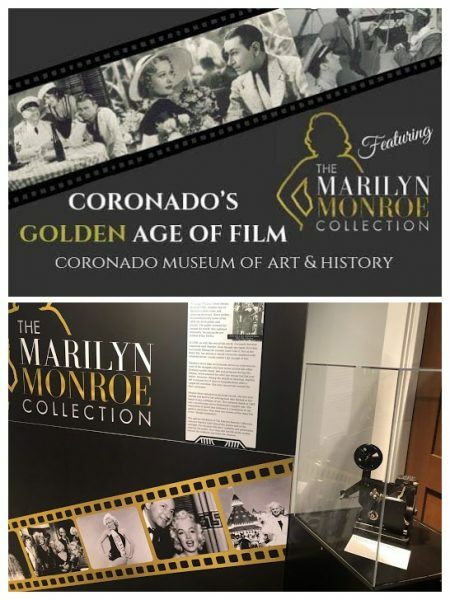 From now until January at the Coronado Museum of Art & History, a new exhibition – Coronado’s Golden Age of Film – explores the resort’s movie connections, hosted by the Coronado Historical Association and with items from Scott Fortner’s Marilyn Monroe Collection as its centerpiece. 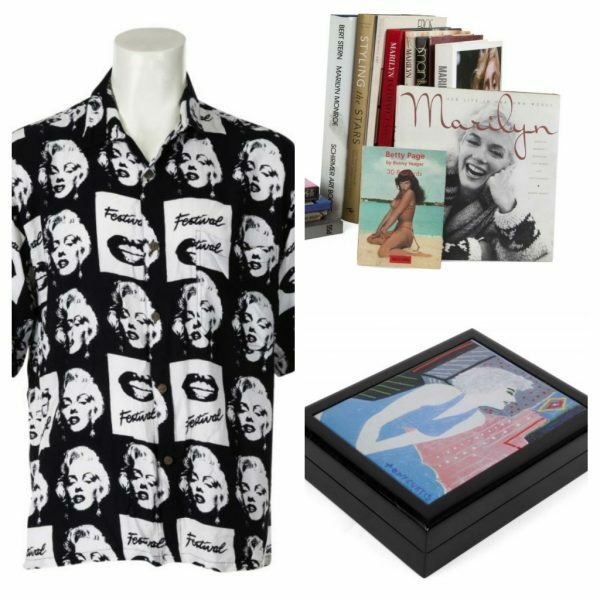 “The Marilyn Monroe Collection comprises a lifetime of memories, both Marilyn’s and the collector’s. 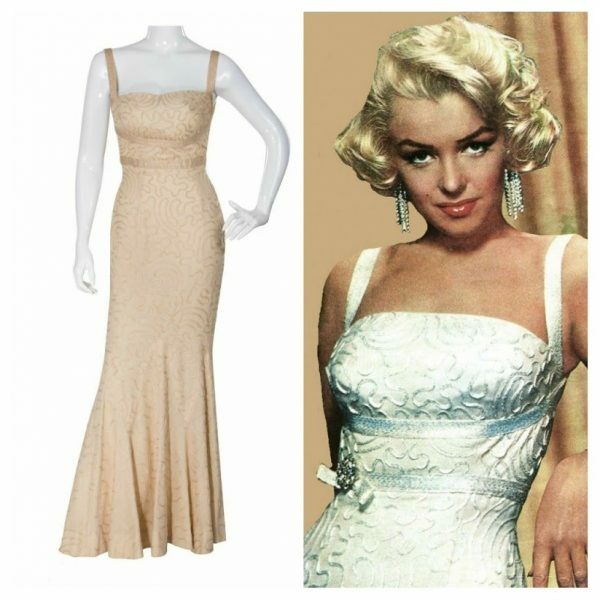 On loan to the Coronado Historical Association are a selection of Coronado-centric pieces from the collection consisting of items from Marilyn’s personal wardrobe, including a dress she wore off the set during filming of Some Like it Hot, cosmetics, books from her personal library, numerous personal and professional documents, a Marilyn Monroe signed bank check made payable to her acting coach Paula Strasberg, and other items directly from her estate. 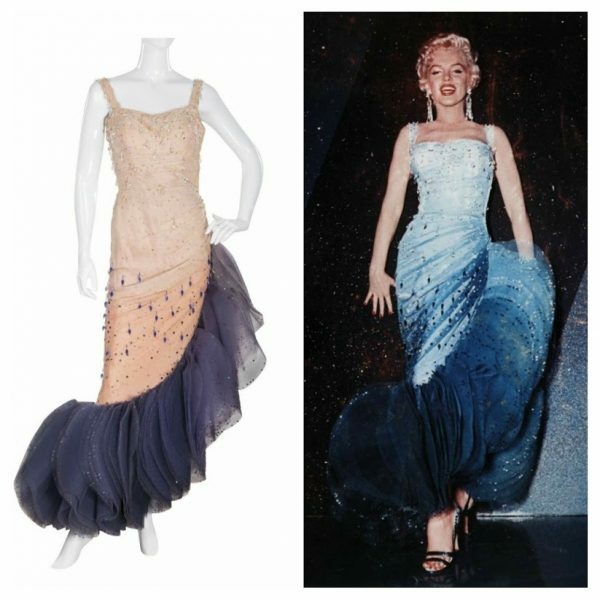 In an article for the Telegraph, David Millward explores the growing market for music and movie memorabilia – ahead of December’s ‘Essentially Marilyn‘ auction at Profiles in History. 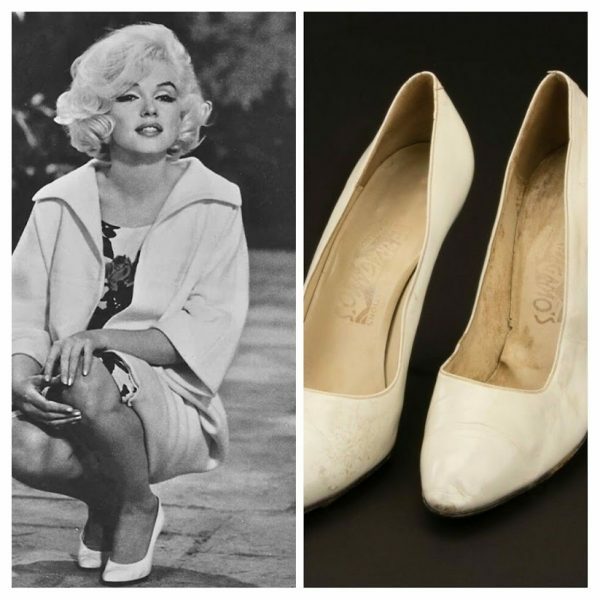 “A few decades ago, a woman who worked as a cleaner at the Westwood Village Memorial Park Cemetery in Los Angeles was given the original marker used to identify Marilyn Monroe’s grave. 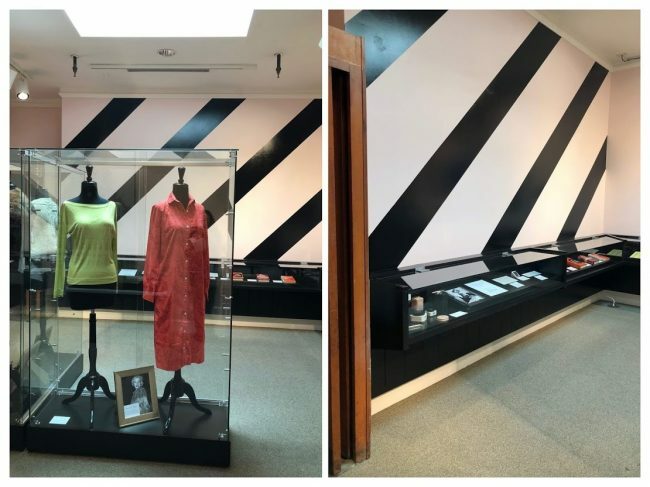 It was being replaced and nobody had any real use for it. 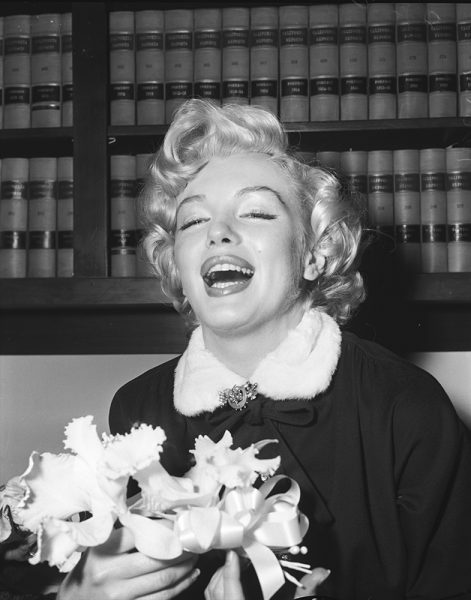 The cleaner – who was a Monroe fan herself – kept it as a personal memento. 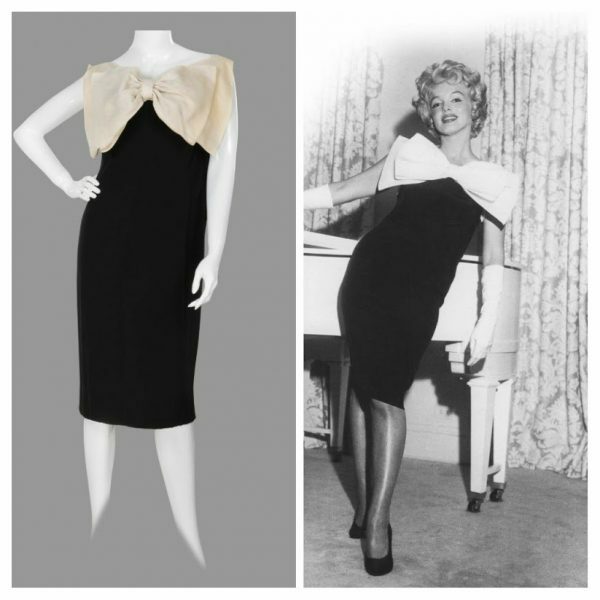 Eventually, she decided to sell the marker and approached Julien’s Auctions in Beverly Hills. 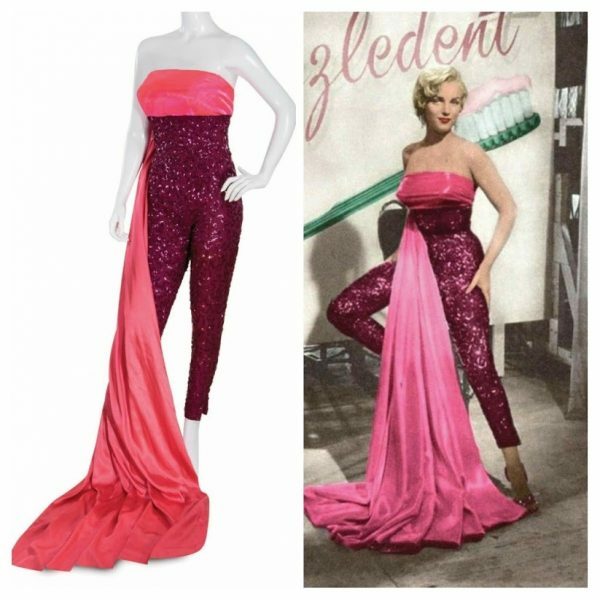 It was expected to fetch from $2,000 to $4,000 dollars (£1,525 to £3,050). 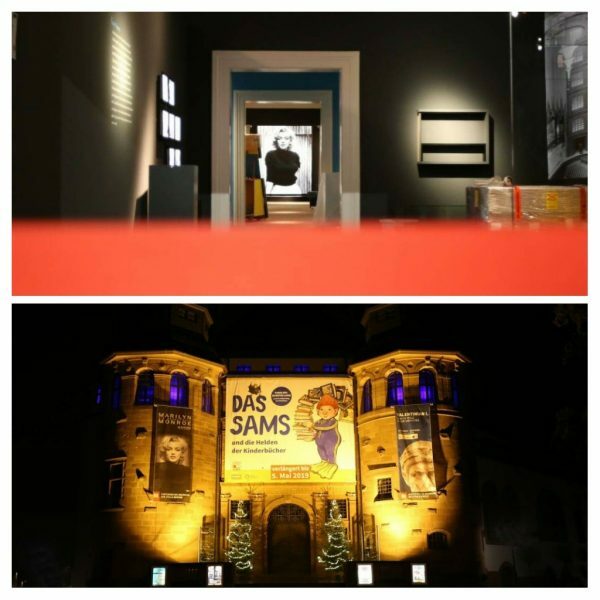 That proved to be something of an underestimate. 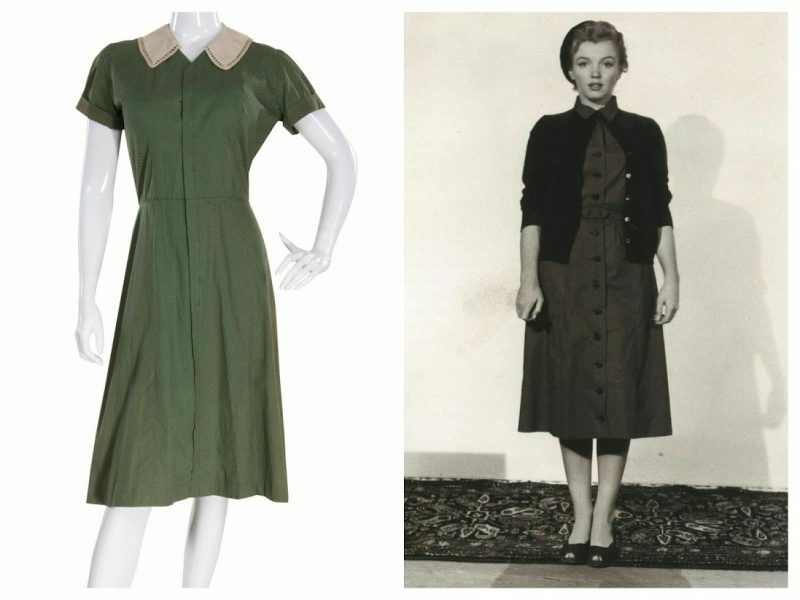 An anonymous overseas bidder paid $212,500 when it went under the hammer in June 2015. 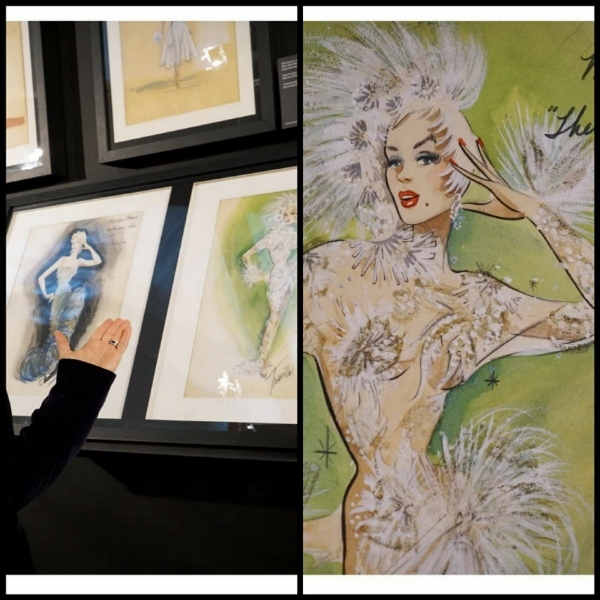 ‘The woman was in tears, she said it changed her life,’ said Darren Julien, founder of Julien’s Auctions. 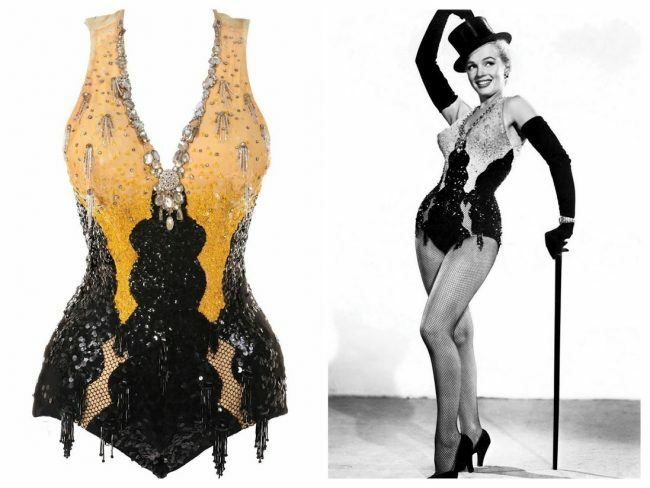 While there is money to be made from memorabilia, expecting to reap vast riches would be a mistake, argued Giles Moon, of Heritage Auctions. 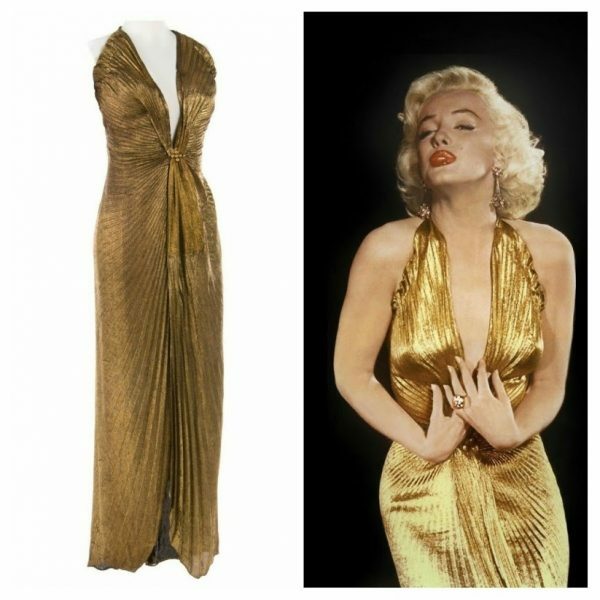 But virtually every expert named Monroe as the icon whose personal effects will attract the highest bids.